Hundreds of children and adults spend the night aboard the USS KIDD each year. Camping overnight aboard the USS KIDD is a fun and educational way to spend time with your family. 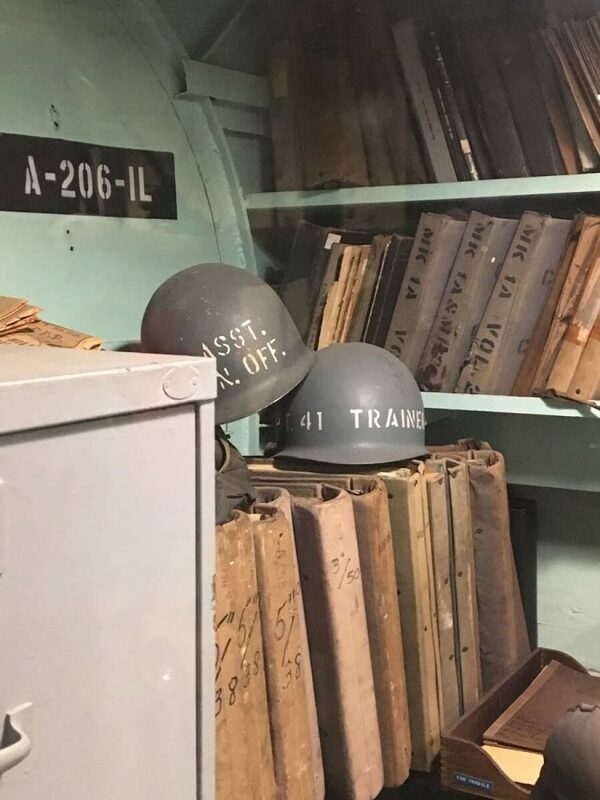 You’ll experience close-quarters living firsthand and learn about the courage under fire displayed by our American heroes. Reservations may be made by calling (225) 342-1942 ext. 13, Monday through Friday from 9:30 a.m. to 3:00 p.m. or by requesting a date online. Please note that inquiries for information and available dates do not constitute making a booking. Admission for the Overnight Camping program is $22.00 per person (adults & children). There is a minimum of 20 people required to make a reservation and all participants must be at least six (6) years of age or older. All children should be accompanied by an adult. The USS KIDD requires a minimum ratio of one (1) adult per every eight (8) children. There may be other groups aboard ship with you on the night of your stay. **NOTE: Campers must be at least six (6) years old to even set foot aboard ship at night—no exceptions. Underage children will be sent home. One option for large groups is the Exclusive Reservation. With the Exclusive, you guarantee a minimum number of 100 people for your stay (rather than 20 for the Standard reservation). The price is still $22.00 per person, but with the Exclusive status, your group has the entire ship to itself that night with no other groups aboard. Please take note of the following deposit and payment policies. They will play an important part in your booking process. A $150.00 deposit is due ten (10) working days from the date that you call in and make your reservation with us ($300.00 for Exclusive reservations). Payment of the remaining balance is due thirty (30) days prior to the night of your stay. All deposits and balances are non-refundable. Please exercise great care in establishing the count in your group. There are no refunds for groups that arrive with fewer people than were initially booked. Once the 30-day deadline has passed, you are committed to that number. Individuals taking the tour only (for whatever reason) must still pay the full price and be included in your final count, even if they depart after the tour and do not spend the night. Your deposit may be transferred to a new date prior to the 30-day deadline. After the 30-day deadline has passed, you are committed to that date. Overnights must be booked a minimum of one month (30 days) in advance. Overnights are conducted seven days a week, though the most popular nights are understandably Fridays and Saturdays. Those groups looking for dates in the spring (i.e. January—May) should call ahead several months in advance. Overnight bookings cannot be made on the following dates: July 3, July 4, Thanksgiving Eve, Thanksgiving Day, December 23, Christmas Eve, Christmas Day, December 30, New Year’s Eve, and New Year’s Day. Acceptable forms of payment include cash, check, money order, or credit card. 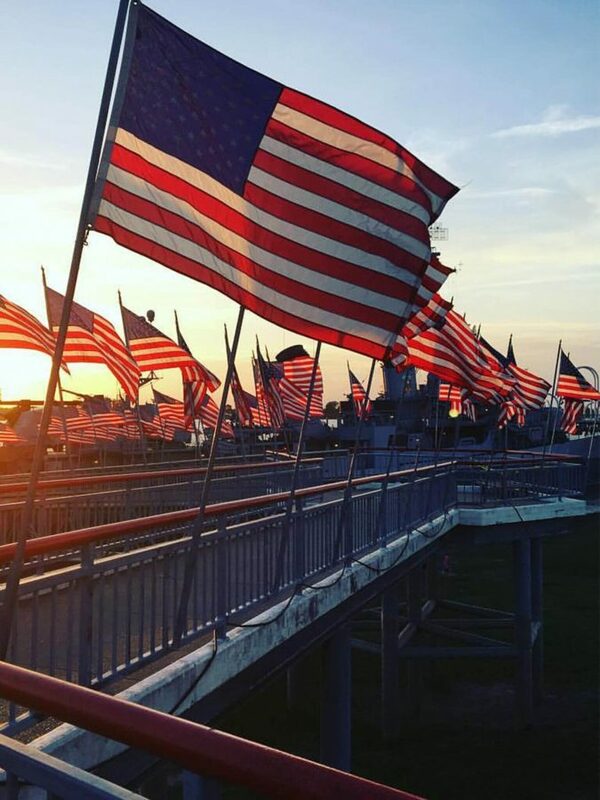 If mailing payments, please forward to: USS Kidd Veterans Museum, ATTN: Reservations, 305 South River Road, Baton Rouge, LA 70802. Checks should be made payable to: USS Kidd Veterans Museum. We cannot guarantee bunk space for last-minute additions. Additional campers CANNOT be paid for upon arrival on the night of your reservation. There are NO REFUNDS for cancellations received after the 10-business day deadline. REMEMBER: Pack Light! You are not going away for a week-long cruise. The more luggage you bring, the more you have to carry. The ladders aboard ship are nearly 70-degrees in angle and you have to move your gear up and down several ladders. Also, there are no closets aboard ship to stow your gear. Large, bulky suitcases should not even be considered. Visitors should not wear sandals, flip flops, or any open-toed or high-heeled shoes aboard ship. High-heels could cause a fall and sprain or break an ankle. Open-toed shoes do not provide adequate protection to your feet when climbing ladders or walking through water-tight doors and hatches and could result in torn or broken toe(s). Crocs are also prohibited as they do not have the appropriate grip or tread on the bottom of the shoes needed for shipboard wear. Group leaders: please discuss this safety issue with everyone in your group before arrival. All groups should eat a full meal (dinner) prior to arriving at the USS KIDD for their Overnight. There are several restaurants and fast food venues just off the interstate on the way to the KIDD. A listing is available upon request. Many Overnight Camp groups have pizza delivered and eat it in our Café area prior to heading to the ship. If you are going to be ordering pizza, please let us know so our tour guides can accommodate your group. Please keep in mind that you will have to supply your own plates, napkins and drinks for your group to dine. No food or drinks are allowed in any interior spaces (i.e. if there’s a ceiling over your head). Keep all food and drink items in 1-2 large ice chests for the group; not in individual luggage. If placed in individual luggage, you will be required to remove it before going belowdecks. All food and drinks must be consumed in a designated area aboard ship. No glass containers of any kind allowed for safety reasons. Why so tough on the food rules? There are some guests (ants, bugs, rats, ect…) that we simply DON’T want aboard ship. NO ALCOHOLIC BEVERAGES of any kind are allowed aboard ship. There are no exceptions to this and violation of this standard will result in immediate dismissal and removal from the premises. 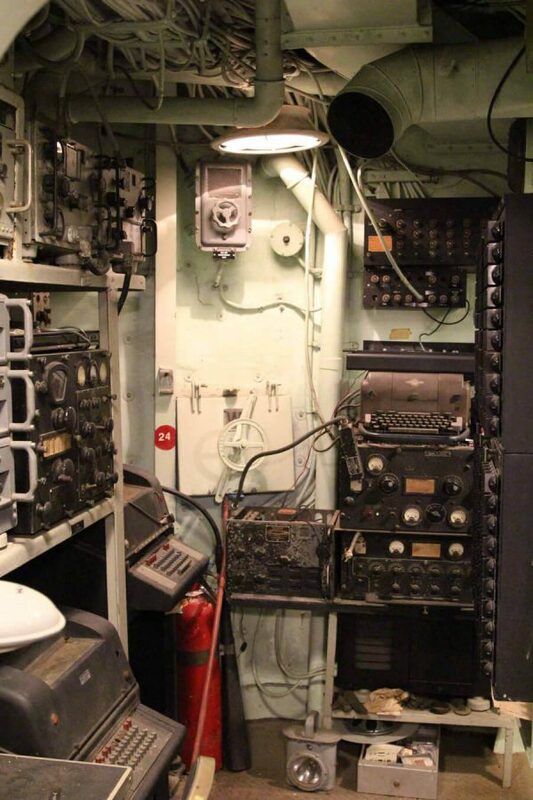 There are five (5) berthing compartments aboard the USS KIDD with varied numbers of bunks in each space. Your space will be assigned to you upon your arrival and will depend upon the size of your group. We do not assign different groups to the same sleeping compartment. Groups do not have to be all-male or all-female. However, some organizations require separate berthing for males and females. Requests for separate accommodations must be made in advance when making your reservations. Otherwise, your request cannot be guaranteed. The sleeping compartments are air conditioned and/or heated for the comfort of our guests. Keep all valuables (cameras, purses, wallets, etc.) with you at all times to deter theft. Shower facilities are available but you must provide your own soap, towels and washcloths. It is best to shower prior to bedtime, as time is limited for such activities during the morning. Sometimes, the weather just won’t cooperate. In the event of rain, when touring is uncomfortable and the decks are slippery and not 100% safe, you may wish to stay out of the weather and reverse our itinerary (i.e. tour the museum at night and tour the ship in the morning). This allows several hours during the night for the weather to clear. While heavy rains and lightning are a safety consideration, this will not prohibit you from sleeping aboard ship. Please keep in mind that all deposits are non-refundable, though they may transfer to a new date if your group is forced to reschedule due to the following: 1) icy conditions, 2) the imminent arrival of a hurricane, or 3) power outage aboard ship. In these circumstances, your group coordinator will be contacted by the USS KIDD reservations staff. Should you choose to cancel your stay without one of the above mentioned conditions, your deposit and balance will be forfeited. Parking is available curbside in front of the museum. Space, however, is limited. Carpooling is of tremendous value. Additional parking is available in nearby parking garages at the Baton Rouge River Center and the Belle of Baton Rouge Casino, the All-Right Parking surface lot at the corner of St. Philip Street and South Blvd., and the 3rd Street Parking Garage at the corner of 3rd and Convention Street. Some of these facilities may require a fee. Additionally, these facilities may require walking anywhere from two to six (2-6) blocks in distance. Security of your vehicle overnight cannot be guaranteed. For more information on downtown parking, visit the Downtown Development District website. Please unload all children and any heavy items (ice chests, overnight bags, etc…) at the museum’s front door prior to parking your vehicle. 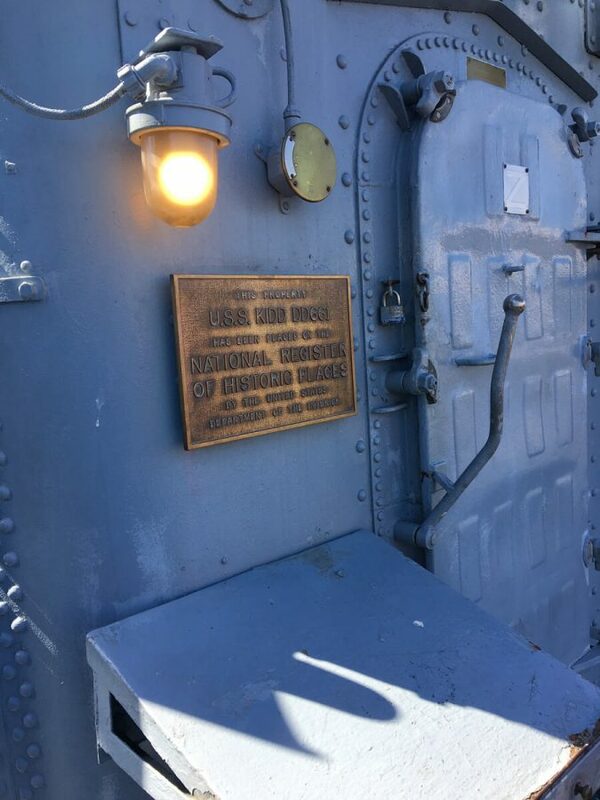 The USS KIDD assumes no liability for losses of or damage to vehicles parked in front of the museum. The Overnight program begins at 7:00 p.m. on the night of your stay and ends at 9:00 a.m. on the following morning. The museum and ship are closed to public touring during your stay. On the night of your stay, plan to arrive between 6:30 p.m. and 7:00 p.m. Your tour guide(s) will meet you at the museum during this time. Once all groups have arrived in full, you will be shown a short orientation film and your guide(s) will go over the Safety Rules with you. Many different types of groups spend the night aboard ship, including Boy and Girl Scouts, YWCAs and YMCAs, Boys & Girls Clubs, Campfire Girls & Boys, and JROTC units. The average itinerary is listed below. All times are approximate. 6:30 – 7:00 p.m. Overnight groups arrive at museum. 7:00 p.m. Orientation film & Safety briefing. 7:45 ~ 8:15 p.m. Move gear to the KIDD, stow food items on Main Deck, get settled into bunks, and conduct fire drill. 9:30 p.m. ~ 12:00 a.m. Free period — Groups may eat snacks at this time and explore the ship on their own. At all times, however, we require the use of the Buddy System. All children must be accompanied by adults. Optional activities (Scavenger Hunt & Engineroom Tour) conducted at this time. Groups may also use this time to explore the ship on their own and take supervised turns on the 20mm and 40mm guns. If you have an activity that you would like to conduct (i.e. religious devotional or service or activities for earning merit badges, etc. ), these can be done at this time, so long as they have been cleared through the Reservations Department ahead of time for compliance with safety regulations. 12:00 a.m. ~ 6:30 a.m. Sleep period. No hands should be above deck except for bathroom purposes (adults or children). 6:30 a.m. ~ 7:00 a.m. All hands pack their gear and get ready to depart the ship. 7:00 a.m. All hands depart ship with their gear and return to museum on shore. Gift Shop opens at this time for purchase of souvenirs. USS KIDD closed until 9:00 a.m. for cleaning and washdown of decks. 8:00 a.m. ~ 9:00 a.m. Touring museum. Gift Shop open for purchase of souvenirs. USS KIDD closed until 9:00 a.m. for cleaning and washdown of decks. 9:00 a.m. Memorial reopens to the public. USS KIDD reopens for touring. Optional activity (Flag Raising) conducted at this time. 9:00 a.m. ~ 5:00 p.m. All Overnight activities are concluded. 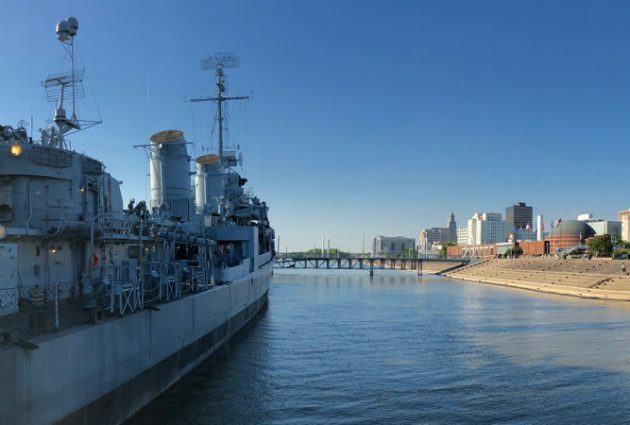 Overnight admission covers any additional self-guided touring through the close of business at 5:00 p.m.
What better way to remember your stay than to purchase a souvenir unique to the USS KIDD? We have several items to choose from in our Gift Shop. Overnight Camping patches are especially popular with Boy Scouts and Girl Scouts. Each patch is $3.00 plus tax. As with any such youth program, all participants are asked to follow the shipboard rules of conduct for the safety of all concerned. Please keep in mind that this ship was built in 1942 before modern day safety practices were in effect. The ladders are steep, the decks can be slippery and a lot of equipment is literally underfoot. In short, everyone needs to be attentive to potential hazards while aboard and observe all of the rules. These rules have been developed over the course of conducting 20 years’ worth of overnight camps and take everyone’s safety into consideration. Group Coordinators: Please distribute these rules to your parents and discuss with the children. Thanks and we look forward to having you with us aboard the USS KIDD! You’ve read the rules, now here are the penalties for breaking them. Drum roll, please! DEFCON 1 — Warning issued. DEFCON 2 — 10 minute time-out. DEFCON 3 — Child put to bed with parent or guardian supervising. DEFCON 4 — Removal from the premises. 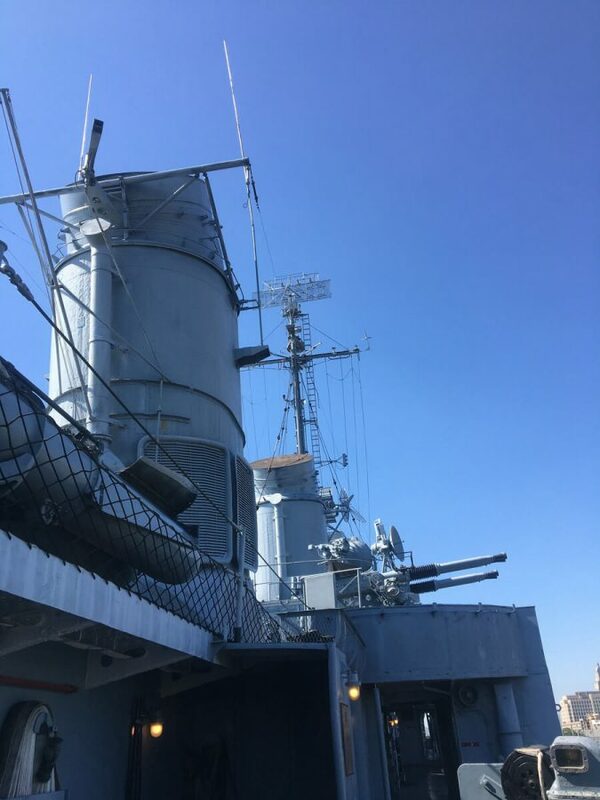 We highly suggest that all group coordinators to have some type of permission slip or medical release form on-site for each child participating in a group tour or overnight camping experience with aboard the USS KIDD in case of an emergency. These scenarios have all happened in the past (the names have been changed) while groups visited the USS KIDD. Scenario # 1: Mr. Jones invites his son’s friend Mike along for the overnight camp. Mike is not a member of the Cub Scouts so Mr. Jones doesn’t fill out any permission slips or medical waivers for him. Mike gets hurt and needs to go to the Emergency Room for treatment. Mike’s medical attention has to be delayed until his parents can be tracked down and consent to having him treated. Scenario # 2: Mr. Smith is planning an outing for his youth group. He has collected medical release forms for all of the kids attending without their parents. For those attending WITH their parents, he has not bothered. On the day of the trip, Susie’s father gets called into work at the last moment and cannot go. During the trip, Susie gets hurt and needs medical attention. Mr. Smith has no medical release form because he thought Susie’s dad would be there. Scenario # 3: Mrs. Anderson takes her class on a field trip. She has collected medical release forms for all of the students, however, she forgets the forms at home. One of the students gets hurt on the trip and needs medical attention. Mrs. Anderson must now track down a parent or guardian to get the student treated. First, check our calendar for available dates. Then submit a reservation request form, and our Reservations Office will contact you to confirm your reservation details. Please note that this form is NOT a confirmed reservation. Your reservation is not confirmed until a deposit has been placed. Email us at Reservations@usskidd.com for additional questions. Please note that the Reservations Office is closed on weekends and holidays. We appreciate your patience and look forward to hearing from you!